Is It Time for a “Kill Step” for Pathogens on Produce at Retail? Outbreaks of foodborne diseases from fresh and fresh-cut produce continue to occur in the United States; historically, fresh and fresh-cut produce cause more illnesses and higher numbers of foodborne diseases than any other food commodity. In a 2015 analysis and report of data collected between 2004 and 2013 from the U.S. Centers for Disease Control and Prevention’s Foodborne Outbreak Database, the number of confirmed foodborne disease outbreaks (source identified) related to fresh and fresh-cut produce was higher than for any other single food category, including beef, poultry and seafood. Only multi-ingredient, non meat foods registered higher, probably because they were combinations of produce commodities not confined to a single ingredient in the outbreak investigations. This same analysis showed that not only was fresh produce the most common cause of outbreaks, but also when an outbreak occurred due to fresh produce, the adulterated fresh-produce commodity also caused the largest number of illnesses in each outbreak among all the food categories. Of course, these data don’t truly reflect the actual number of outbreaks due to fresh produce commodities nor the number of illnesses and deaths that occurred in each outbreak, as the number of reported outbreaks generally represents only a fraction of the actual number of outbreaks in any given year. Microbial Contamination of Produce: What Is the Risk? Because the “farm to fork” distribution of fresh (e.g., bulk whole produce) and fresh-cut (e.g., processed) produce does not routinely include a microbial elimination step (e.g., like cooking), produce naturally carries many commensal, non harmful microorganisms. However, because of this, some produce also occasionally carries microbial pathogens that have contaminated it somewhere along the supply chain, sometimes with very lethal results. The microbial pathogens most commonly associated with produce-related outbreaks () are also associated with predicted, low infectious doses for human infection (i.e., numbers of microbes that one would need to ingest that would lead to an infectious disease); thus, even low levels of contamination of produce with these most common microbial pathogens often lead to a high probability of infectious disease after consumption. A recent study of the microbiological quality and safety of fresh produce from retail chain stores in the U.S. suggests that only a few produce commodities are occasionally contaminated with microbial pathogens over time. Only four specimens of produce from 414 samples collected over a year’s time from three chain retail establishments were positive for human pathogens (Listeria monocytogenes and Escherichia coli O157:H7 on one spinach sample each and two Salmonella spp. on one cilantro and one parsley sample each). The variables related to the degree of microbial pathogen contamination and colonization of produce are very high, but the number of microbial pathogens on any produce commodity and/or a single produce item is thought to be low unless there is an overt contamination event (e.g., transporting produce in a truck used to previously transport hogs), temperature abuse (growth of the pathogens on the produce) or cross-contamination and spreading during fresh-cut processing in a manufacturing facility or in a retail foodservice establishment (e.g., with raw chicken juice in produce sinks in a retail foodservice establishment). The continual challenges of developing, validating, implementing, monitoring and verifying preventive controls during the farming and processing of produce, and the lack of a “kill step,” will continue to make produce a high-risk food. Many validated preventive controls may reduce this risk when the Food Safety Modernization Act (FSMA) rules on produce safety are implemented for the safe growing, harvesting, packing and holding of fruits and vegetables grown for human consumption, and when fresh-cut produce is prepared in a facility according to the FSMA Preventive Controls for Human Food rule, both mandated by the U.S. Food and Drug Administration (FDA). However, much needs to be done to ensure all possible microbial hazards can be prevented by the implementation of these rules. It is not the purpose of this article to review all the events that can lead to contamination of fresh and fresh-cut produce, which are extensively reported and continue to be discovered after each new outbreak investigation and/or recall. It is also not our purpose to discuss all the preventive controls that might avert the hazards along the supply chain. However, from our perspectives (i.e., academic and retail food business training and experience), it is the probability of the hazards associated with a commodity most often produced and harvested from the soil, the likely failure to prevent all contamination and pathogen growth events, the low infectious dose of the pathogens and the historically large number of produce foodborne disease outbreaks that led us to discuss here the need and propose options for a new set of preventive controls for produce at retail sales and retail foodservice establishments. Both represent the last opportunity to remove the microbial hazards before human consumption and prevent a foodborne illness. The best means to further reduce or eliminate microbial hazards associated with produce before consumption is to implement a kill step at retail. This kill step should include defined controls that can remove and eliminate the microbial pathogens (i.e., while still attached to the produce) on all fresh produce commodities and in any wash water to prevent cross-contamination of the produce before a product is prepared and served. The kill step should be validated for efficacy against microbial pathogens by science via peer-reviewed research, and the wash/sanitizer solutions should be certified by the U.S. Environmental Protection Agency (EPA) for efficacy against the most common microbial pathogens associated with fresh-cut and fresh produce (), approved for safe use on human foods by FDA, available in a format and procedure that can be executed consistently in a retail sales and foodservice establishment and provide the same quality, nutrition and flavor/sensory profile to consumers as fresh produce washed in tap water. FDA has approved several chemical agents for use in produce wash processes that are generally recognized as safe (GRAS) in accordance with the rules of use in 21 C.F.R. 173.315, 21 C.F.R. 173.368 and 21 C.F.R. 173.300. These chemicals have extensive evidence for their effectiveness as produce wash agents (against dirt, waxes and microbes) and scientifically validated antimicrobial efficacy against microbial pathogens. Many of the chemicals that FDA has approved may be used only at defined concentrations and/or may not be used without a secondary rinse, and some may not be used for washing raw agricultural commodities. The definition of a raw agricultural commodity, according to 40 C.F.R. 180, includes fresh fruits, whether or not they have been washed and colored or otherwise treated in their unpeeled natural form; vegetables in their raw or natural state, whether or not they have been stripped of their outer leaves, waxed, prepared into fresh green salads, etc. ; and grains, nuts, eggs, raw milk, meats and similar agricultural produce. It does not include foods that have been processed, fabricated or manufactured by cooking, freezing, dehydrating or milling. Most of the chemicals have also been certified by EPA in some concentration and/or combination with other chemicals by manufacturers as produce wash agents or antimicrobial fruit and vegetable wash products. For example, a sodium dodecylbenzene sulfonate and lactic acid mixture has been EPA-certified for efficacy against microbial pathogens in produce wash water. However, while this fresh produce wash is not certified to effectively kill microbial pathogens attached to produce, it is an effective means to prevent recontamination of produce during washing (i.e., any pathogen numbers rinsed off the produce during treatment for the designated time will be reduced by a defined percent or log reduction). Two additional criteria should be met to ensure the most effective kill step for microbial pathogens on produce. First, the procedure should remove and kill pathogens while attached on the produce commodity and in the wash water (as pathogens “seed” the wash water during treatment where they could recontaminate the produce). Second, the procedure should be more effective than water-washing produce alone (the current requirement at retail). Despite the degree of variance due to differences in surface characteristics of produce, time, temperature and methods of inoculation, washing fresh produce with tap water typically results in an approximate 1-log reduction in microbial load on the majority of produce items that have been evaluated. Finally, a produce wash step is probably as important as a produce sanitation step (like washing and sanitizing dishes or cleaning and then sanitizing a food contact surface), where a wash step first would remove dirt and most microbial pathogens and then a sanitation step would kill the remaining pathogens attached to the produce commodity and those in the wash water. Thus, a true validation of a produce wash-and-sanitation system should be how many bacteria, viruses, parasites and fungi are removed off the produce commodity and then how many of each are killed when in the wash water; thus, the kill step may probably be a two-step process. Three sanitation technologies currently recognized by FDA for their applicability to produce sanitation include ozone (21 C.F.R. 173.368), hypochlorous acid (21 C.F.R. 173.315) and chlorine dioxide (21 C.F.R. 173.300); all three of these technologies can be generated on-site, have a short shelf life and do not leave residuals on produce, and are relatively efficacious at reducing microbial pathogens when attached to produce at concentrations that are at the highest available and allowable levels. Although each of these antimicrobial agents functions primarily through oxidation-reduction reactions, each has its own set of chemical nuances, including generation method(s) and ease thereof, regulatory limits on allowable concentrations and compulsory practices, and exposure (concentration as a gas or liquid, and contact time) required for antimicrobial efficacy on produce. EPA does not require registration of sanitizer solutions generated and used on-site. As a result, sanitation technologies capable of on-site generation must be validated by the device manufacturer. However, in our opinion, because any chemical used in direct contact with food could be abused/misused, these on-site generator systems if used in retail facilities should be physically restricted from producing concentrations above regulated limits, and any device manufacturer should have the final concentration registered with EPA (e.g., output solution with validated claims for efficacy and safety). To evaluate which of the three chemicals would be the most feasible sanitizer solution to use in a produce wash-and-sanitation system at retail, we consolidated the findings of nine published research articles that evaluated the ability of each chemical to reduce E. coli O157:H7, L. monocytogenes and Salmonella spp. adhered to iceberg and romaine lettuce leaves (believed to be two of the more difficult produce commodities to sanitize). These data certainly are not a comprehensive set of evaluations of these chemicals, nor do they include all the other data published showing efficacy against pathogens on different produce commodities under other variables. We only consolidated these data to demonstrate differences and similarities of efficacy on similar produce commodities (leafy greens). Data from these research studies utilized either a dip-inoculation method or a spot-inoculation method, where the test pathogens were seeded onto the produce commodity by dipping the produce into a solution containing the pathogen (distributing the pathogen uniformly on the produce) or inoculating the test pathogen in a solution directly onto a single spot on the produce, respectively. These inoculation methods are not natural, of course, as they attempt to adhere the pathogens to the surface of the produce, allow for enumeration of the pathogen numbers before treatment and then allow for enumeration of the remaining viable pathogens after treatment. It would be difficult to mimic the exact variables of natural microbial pathogen adherence to all produce commodity types (e.g., pathogens in different types of water or directly from feces, or via irrigation water, how long the pathogens have been on the produce and at what temperature, how many of the pathogens remain on the produce initially and then grow due to temperature abuse). However, these consolidated findings in our view are the best way to determine which of the methods would probably work best as a produce sanitizer according to the criteria above. As one of several oxides of chlorine, chlorine dioxide (ClO2) is a potent and useful oxidizing agent used in water treatment and in bleaching. ClO2 is a neutral chlorine compound. It is very different from elementary chlorine, both in its chemical structure and in its behavior. One of the most important qualities of ClO2 is its high water solubility, especially in cold water. ClO2 does not hydrolyze when it enters water; it remains like a dissolved gas in solution. ClO2is approximately 10 times more soluble in water than chlorine, and it is a compound that can decompose violently when separated from diluting substances. As a result, preparation methods that involve producing solutions of it without going through a gas phase are often preferred. Arranging safe handling is essential. ClO2 is reported to have 2.5 times the oxidation capacity of chlorine, maintains its efficacy in both aqueous and gaseous forms and is less affected by changes in pH. Therefore, this chemical should make an excellent produce sanitizer; the ability of ClO2 to reduce levels of pathogenic bacteria is well validated. However, all concentrations with the best efficacies ([8–11] and [8, 9, 12–16]) are greater than the maximum concentration permissible by FDA (3 ppm). Therefore, this chemical probably would not best fit the criteria for produce sanitation in a retail facility. Hypochlorous acid is a weak acid with the chemical formula HOCl. It forms when chlorine dissolves in water and partially dissociates in water into hypochlorite and hydronium ions. HOCl and OCl- are the primary agents for disinfection when chlorine is used to disinfect water for human use. HOCl cannot be isolated in pure form due to rapid equilibration with its precursor. It is an oxidizer, and in its sodium salt form, sodium hypochlorite (NaClO), or in its calcium salt form, calcium hypochlorite [Ca(ClO)2], can be used as a bleach, a deodorant and a disinfectant. HOCl can be generated through the electrolysis of dilute brine solutions (0.1–1.0% NaCl) and is able to maintain efficacy at slightly acidic and near-neutral pH values [which differs from its sodium salt form, sodium hypochlorite (bleach), which functions at a relatively high pH]. Devices capable of on-site generation are offered by numerous manufacturers, and function using sodium chloride as the only chemical input. The method by which lettuce is contaminated with microbial pathogens greatly impacts HOCl efficacy (Tables 2 and 3[8–11]). Studies utilizing dip-inoculation methods reported 0.7- to 1.4-log reductions of E. coli O157:H7 after a 1- to 2-minute treatment with HOCl at a concentration of 50 ppm (Table 2). However, when lettuce was contaminated using the spot-inoculation method, HOCl was capable of slightly less than 4-log reductions of E. coli O157:H7, Salmonella Typhimurium and L. monocytogenes using the same concentrations and exposure times (Table 4[8, 9, 12–16]). HOCl is a promising candidate as a produce sanitizer at retail facilities, especially since these findings were obtained using concentrations lower than the allowable limit of 200 ppm. Ozone (O3) is a powerful oxidant and has many industrial and consumer applications related to oxidation. This same high-oxidizing potential, however, can lead O3 to damage mucous and respiratory tissues in animals and tissues in plants above concentrations of about 100 ppb. The antimicrobial properties of O3 are empirically well defined through its use in water treatment for over a century. More recently, O3 obtained GRAS status for its use on raw and minimally processed fruits and vegetables, and, as a result, is commonly employed within the produce industry to sanitize wash and flume water within packinghouse operations. As seen in Table 2, levels of E. coli O157:H7 and L. monocytogenes on lettuce are typically reduced by about 1 log after treatment with O3 at industrially relevant concentrations and contact times. Interestingly, when produce is contaminated using spot-inoculation methods, larger reductions in these microbial pathogens are achieved ([8–11]). Interestingly, pathogen reduction in all cases differed between the same chemical (e.g., HOCl), the same produce commodity (e.g., lettuce) and for the same pathogen (e.g., E. coli O157:H7) by more than 3-log units between studies using the two inoculation methods. Overall, because of ­the regulatory restriction to use ClO2 on fresh and fresh-cut produce at concentrations above 3 ppm, the chemical HOCl would be the better sanitizer for produce when bacteria are uniformly distributed on produce leaves (mimicked by dip-inoculation [8–11]). Likewise, HOCl may be the better sanitizer when single pathogens are spot-contaminated on leaves ([8, 9, 12–16]). Most retail sales and foodservice establishments prepare fresh produce after rinsing it with tap water as the only means to remove microbial pathogens. Although this process does remove pathogens and other microbes or soil from most produce commodities, it does not appear to prevent the majority of the foodborne disease outbreaks caused by contaminated produce. Also, when produce is rinsed or soaked by only tap water in sinks, the sinks can become sources of cross-contamination for other foods from viable pathogens rinsed off produce but not killed by the tap water. According to FDA many produce commodities are potentially hazardous foods (raw seed sprouts, cut melons, cut leafy greens, cut tomatoes or mixtures of cut tomatoes that are not modified in a way so that they are unable to support pathogenic microorganism growth or toxin formation). We suggest that a wash-and-sanitize processing of potentially hazardous produce and produce that has the highest risk of causing outbreaks at retail sales and foodservice establishments would reduce the numbers of microbial pathogens on produce. A more effective and valuable produce wash-and-sanitation device for retail sales and foodservice establishments could be designed that would function like a “cooking platform” as described in the FDA Food Code; the raw product would be placed into the device, a process would ensue for rinse, wash and sanitation steps based on time, and when the required time to achieve the kill step for each different pathogen/produce commodity combination has occurred, the device would indicate completion for removal of the finished product. Considering the criteria for the best produce wash-and-sanitation processes above, including a wash step using, for example, sodium dodecylbenzene sulfonate or other surfactants/detergents to wash microbial pathogens off produce and then the most effective active ingredient necessary for a sanitation step to kill remaining pathogens still on the produce and in the wash water (e.g., ozone or HOCl), such a device could be developed that would be operationally feasible. The published potential efficacy for reduction of pathogens on produce by either O3 or HOCl is encouraging for use in a produce wash-and-sanitation system, and recently published research has demonstrated enhanced efficacy of these two chemicals by increasing the concentration and adding physical methods during the sanitation process. Afari et al. showed that the addition of agitation (soaking and mixing produce via forward and reverse rotation of a salad spinner at 65 rpm) to 155 ppm HOCl (pH 7.5) increased the efficacy of HOCl by 2- to 3-log reductions of E. coli O157:H7 and Salmonella Typhimurium DT 104 on romaine lettuce, iceberg lettuce and tomatoes. Likewise, the addition of increasing ultrasound raised the efficacy of HOCl by similar log reductions. Ozone’s efficacy has more recently been shown to increase when used simultaneously with ultraviolet (UV) light. These physical additions to chemical treatment are innovative approaches, and continued work aimed at translating these laboratory studies to industry application is feasible. • Remove outer leaves, if any; rinse produce with tap water spray to remove debris in rinse sink. • Stage produce into a removable perforated produce colander/container. • Insert produce colander/container into washer; fill with wash treatment solution; soak for defined time; drain. • Fill and soak produce for defined time with agitation, ultrasonic vibrations and/or UV light in ice-cold treatment sanitizer solution (e.g., ozone, HOCl), controlling organic load and pH by draining solution and keeping chemical concentration stable. O3 or HOCl would be generated on demand at designated concentration and pH. • Each produce commodity type (e.g., different leafy greens like chopped lettuce or romaine lettuce, tomatoes, berries or sprouts) would probably have a different wash time, concentration of sanitizer chemical, treatment time, and degree of agitation/ultrasonic vibration/UV light exposure to achieve a predetermined and validated log kill (e.g., to achieve a 5-log reduction standard). • Drain produce, rinse with sanitizer solution to remove any final remaining microbial pathogens on produce and in the colander and spin produce dry while draining to remove excess treatment solution/organics. • Remove produce container to dispense washed produce or label for date of expiration in covered containers and store at 41 °F until use (before its expiration time); washed and sanitized produce is a ready-to-eat food. Such a device would not be difficult to design (similar to the design and function of a tabletop washing machine) and could ensure all high-risk produce goes through a wash-and-sanitation process that achieves a kill step for fresh and fresh-cut produce. Ultimately, any produce wash-and-sanitation device will need to be validated against a standard set of pathogens and produce commodities to ensure consistent efficacy like cooking temperatures known to kill pathogens (e.g., a 5-log reduction in these pathogens on all produce commodities). Likewise, viral and parasitic pathogens (e.g., norovirus, hepatitis A, Cryptosporidium and Cyclospora; ) would need to be validated to a standard that would determine function of the wash, rinse and sanitation process. Any device or equipment will need to be NSF-certified to ensure it can be cleaned and sanitized properly (e.g., will not harbor biofilms of pathogens), and then verified regularly when in use to ensure uniformity of a kill step for all defined produce commodities. Finally, such a device should enable proper execution within the typical restaurant facility and include time and chemical concentration indicators (e.g., like thermometers used to confirm temperature). A produce wash-and-sanitation device could provide value to all the stakeholders who process, buy and sell products to enhance produce safety, sales and consumption in the United States. If the device could eliminate a large amount of microbial pathogens from produce (that may be introduced at multiple steps in the produce supply chain from the farm to retail; ), it is likely such a device, if broadly used at retail, would have an impact on the reduction of produce-associated foodborne disease outbreaks by eliminating these microbial pathogens closest to the final prep before consumption. A kill step via a closed-use device provided at retail would also probably have the added benefit of enhancing quality of the produce, increasing the shelf life of some produce commodities at retail and reducing cross-contamination risk in retail sales and foodservice establishments (making fresh and fresh-cut produce more like a prep of a raw to ready-to-eat process). Because of the probability of the hazards associated with fresh and fresh-cut produce due to the continual failure to prevent all contamination and pathogen growth events, the low infectious dose of the pathogens and the historically large number of produce-associated foodborne disease outbreaks, we challenge all the stakeholders to work together and design and develop a new system of preventive controls for produce to be implemented at retail sales and retail foodservice establishments, and prevent more produce-associated foodborne disease outbreaks, the last opportunity to remove the majority of the microbial hazards before human consumption. Hal King, Ph.D., is president and CEO, Public Health Innovations LLC, and a member of the Editorial Advisory Board of Food Safety Magazine. He can be reached at halking@pubhealthinnovations.com. Eric Moorman is a graduate student at North Carolina State University. He can be reached at eamoorma@ncsu.edu. 2. Arendt, S et al. 2013. “Reporting of Foodborne Illness by U.S. Consumers and Healthcare Professionals.” Int J Environ Res Public Health 10:3684–3714. 4. Korir, RC et al. 2016. “Microbiological Quality of Fresh Produce Obtained from Retail Stores on the Eastern Shore of Maryland, United States of America.” Food Micro 56:29–34. 5. Critzer, F and M. Doyle. 2010. “Microbial Ecology of Foodborne Pathogens Associated with Produce.” Curr Opin Biotechnol 21:125–130. 8. Singh, R et al. 2001. ”Effect of Inoculation and Washing Methods on the Efficacy of Different Sanitizers against Escherichia coli O157:H7 on Lettuce.” Food Micro 19:183–193. 9. Keskinen, LA and BA Annous. 2011. “Efficacy of Adding Detergents to Sanitizer Solutions for Inactivation of Escherichia coli O157:H7 on Romaine Lettuce.” Int J Food Micro 147:157–161. 10. Abadias, M et al. 2008. “Efficacy of Neutral Electrolyzed Water (NEW) for Reducing Microbial Contamination on Minimally-Processed Vegetables.” Int J Food Micro 123:151–158. 11. Yuk, H-G et al. 2006. “Effect of Combined Ozone and Organic Acid Treatment for Control of Escherichia coli and Listeria monocytogenes on Lettuce.” J Food Sci 71:83–87. 12. Kim, YJ et al. 2008. “Inactivation of E. coli O157:H7, S. Typhimurium and L. monocytogenes on Stored Iceberg Lettuce by Aqueous ClO2 Treatment.” J Food Sci 73:418–422. 13. Pangloli, P. et al. 2009. 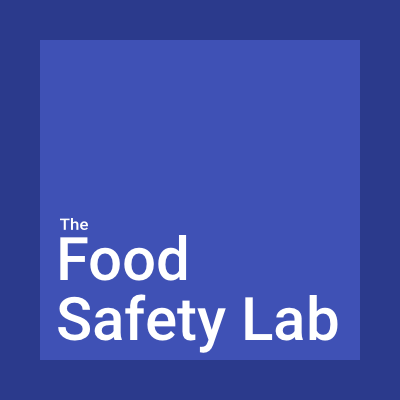 “Reduction of E. coli O157:H7 on Produce by Use of Electrolyzed Water under Simulated Foodservice Operation Conditions.” J Food Prot 72:1854–1861. 14. Afari, GK et al. 2015. “Efficacy of Neutral pH Electrolyzed Water in Reducing Escherichia coli O157:H7 and Salmonella Typhimurium DT 104 on Fresh Produce Items Using an Automated Washer at Simulated Foodservice Conditions.” J Food Sci 80(8):M1815–1822. 15. Rahman, SM et al. 2010. “Effectiveness of Low Concentration Electrolyzed Water to Inactivate Foodborne Pathogens under Different Environmental Conditions.” Int J Food Micro 139:147–153. 16. Pang, YH and YC Hung. 2016. “Efficacy of Slightly Acidic Electrolyzed Water and UV-Ozonated Water Combination for Inactivating E. coli O157:H7 on Romaine and Iceberg Lettuce During Spray Washing Process.” J Food Sci 81(7):M1743–1748. 19. Afari, GK et al. 2016. “Reduction of Escherichia coli O157:H7 and Salmonella Typhimurium DT 104 on Fresh Produce Using an Automated Washer with Near Neutral Electrolyzed (NEO) Water and Ultrasound.” Food Control 63:246–254.